Did you know that LED lights can produce the same amount of energy as incandescent lights – but use less energy and WATTs? But why is that important? And what are the real benefits of LED lights? On average, LED lights will last over 20 years. To put this into perspective, if you installed a bulb when a baby was born, you wouldn’t have to replace the bulb until their university graduation! If you compare this to compact fluorescent lamps (CFLs), on average only 1 LED bulb with be thrown away for every 5 CFL bulbs. Because LEDs last so long, their carbon footprint is much lower than traditional bulbs. This means they’re more energy efficient and better for the environment. Well, if everyone just in the US switched their bulbs to LEDs, it’d be the equivalent of taking 800,000 cars off the road – in terms of climate change and pollution. When it comes to LED lights, you have to think long term. Because LEDs last so long (over 20 years as we mentioned before). So because you’re not constantly buying new bulbs to replace your old ones, you’re saving money in the long. 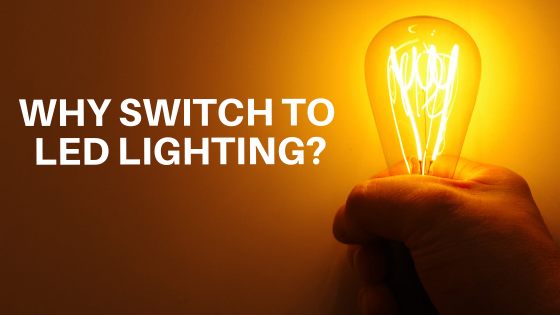 In fact, did you know that the average LED could save you over $100 a year? LEDs aren’t just a marketing gimmick. They last longer, lower your carbon footprint and they can save you a lot of money in the long run. So whilst they might seem a little expensive right now, you have to think about the long-term benefits.